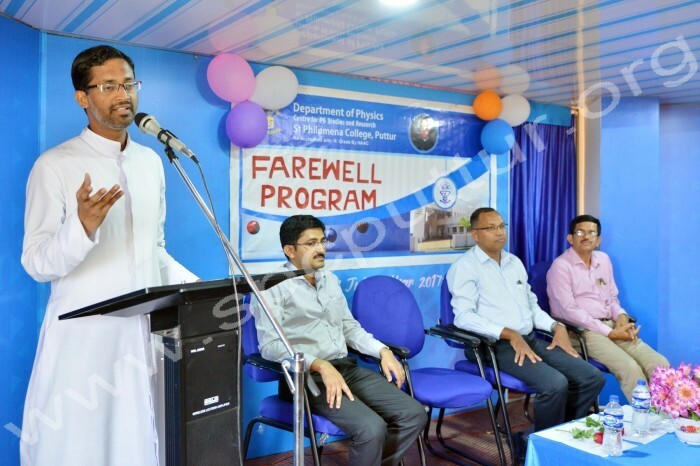 The farewell day was organized by Ist MSc Physics students of St Philomena College, for the outgoing students of PG Physics on 30/04/2018. 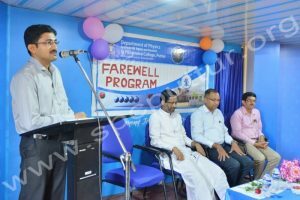 The formal function commenced at 2.30 pm, Prof. Leo Noronha, Principal, St Philomena College, was the president of the function. Rev. 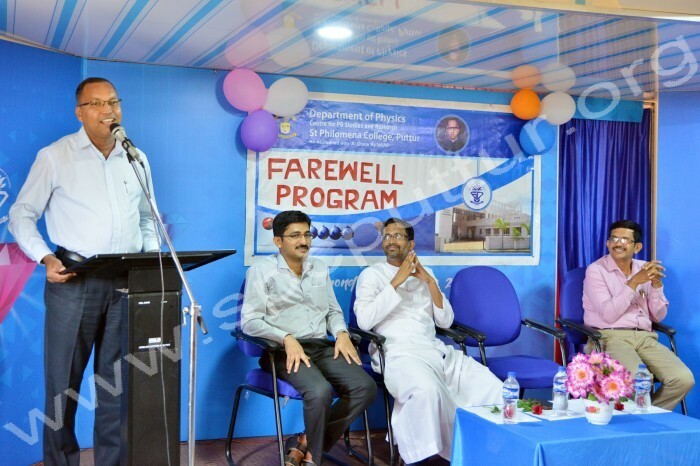 Dr Antony Prakash monteiro, Chairman of PG Studies was the chief guest. 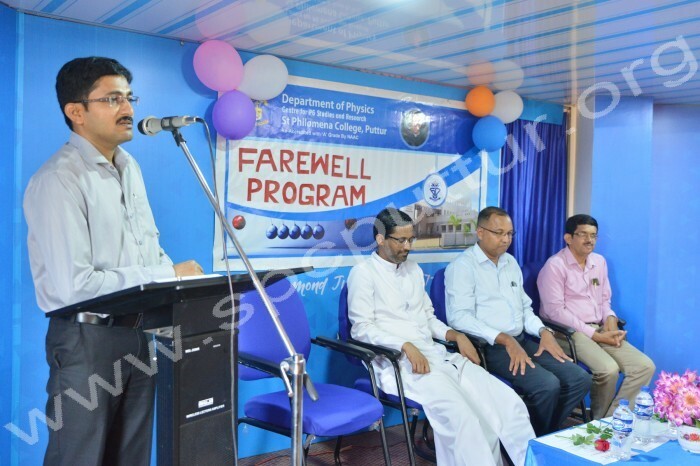 Dr. A P Radhakrishna, HOD, Department of Physics, St Philomena College Puttur was present as the guest of honor. 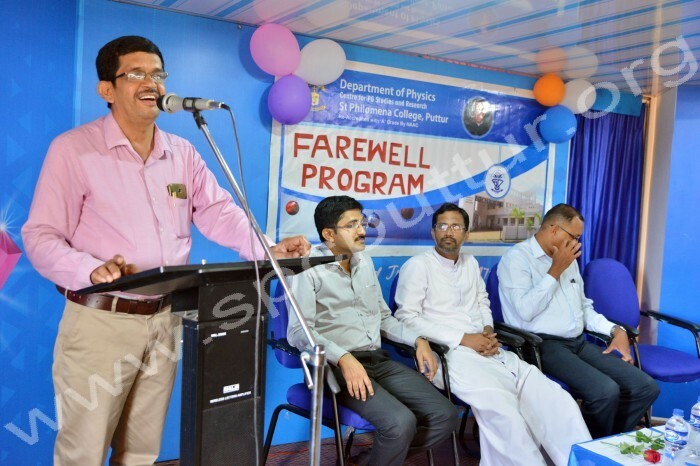 Dr E. Deepak D’Silva, Coordinator of the PG Department of Physics, and all faculty members of the department were present on the occasion. The programme was begun with the prayer by Shilpa and group. The Coordinator Dr E. Deepak D’Silva wished all the outgoing students and said; life is like a flowing river, which has both happiness and sorrows. To be optimistic in life is the key of success. Guest of honor Dr. A P Radhakrishna addressed students, to be ready and open minded to work in any part of the world if better opportunities are available. Chief Guest Rev. Dr Antony Prakash Monteiro said, through strong determination and hard work one can lead fruitful life. Prof Leo Noronha in his address said, blending with the proper proportion of feeling from heart with the strong and determined mind if one lead balanced life at even and uneven circumstances of life; will have the true glamour of life. After the formal programme, various games were conducted for the outgoing students. Ms Rachana welcomed the gathering. Ms Lexmipriya presented vote of thanks and Ms Vidhyasaraswathi was the master of ceremony.